Use the SHO-ME heavy-duty LED strobe flasher on any emergency vehicle. 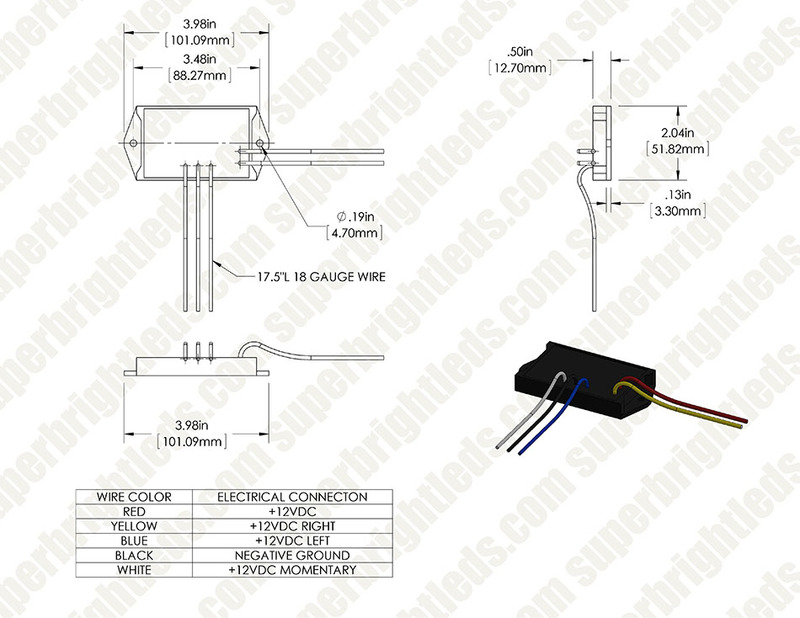 This flasher features 7 selectable strobe flash patterns and is compatible with most LED lights. 12V DC operation with a maximum load of 3 amps per channel or 6 amps total. The water-resistant housing is fully potted for protection against vibration and shock. 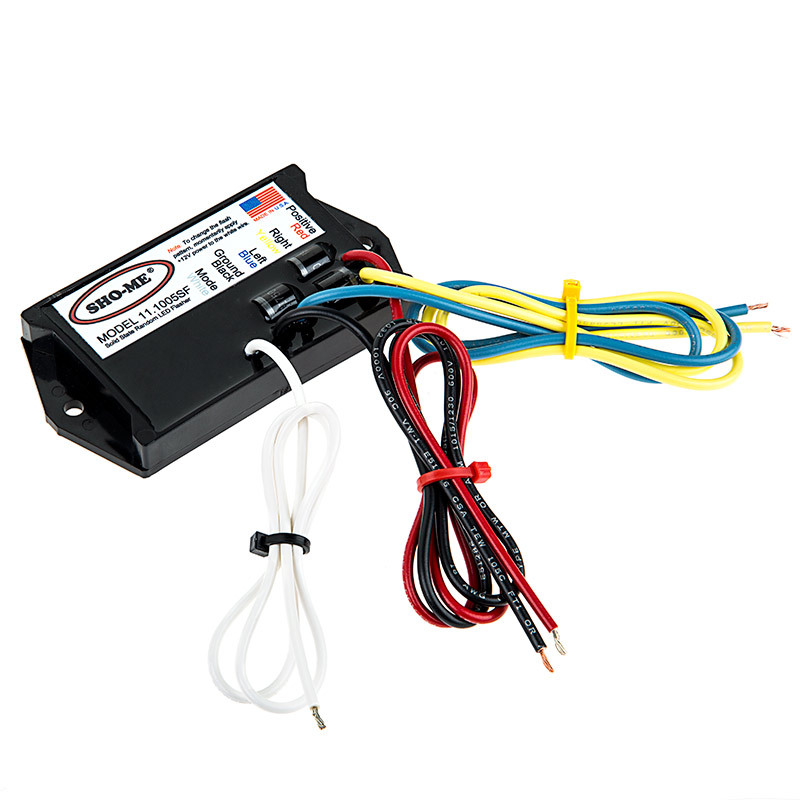 Includes 17-1/2” power wires. I have the two strobe outputs staggered between the two sided and top roll bar LEDs. I also got the switch harness with this product. One great unadvertised feature of the flasher unit is that it keeps the selected flash mode, even when power is removed. When I run the blade on the tractor, I turn the flasher on as a warning. Every thing is water proof. A very nice addition to low power indicator and hazard LEDs. Always a solid and well made product from Show-Me. Works very well with LED lights. Works perfectly. Adjustable patterns with a momentary switch (not included). I'm average in skills but was able to figure out how to wire this. Instruction sheet is pretty basic but explains the installation enough that an average guy can figure it out. I mounted it under the tool to the frame of my truck close to where the lights were mounted. Not had it mounted long so don't have an opinion on long term use. Very well made with high quality materials and craftsmanship! Very nice to see USA made goods at a very reasonable price! Keep it up and I'll keep buying! Thanks!